So I came across this brand Twitter (www.twitter.com/drpawpaw), firstly I was attracted by the catchy name, so I decided to have a look and see what it was. I have decided to tell you all about the red tinted balm which I am currently using as a lip balm. 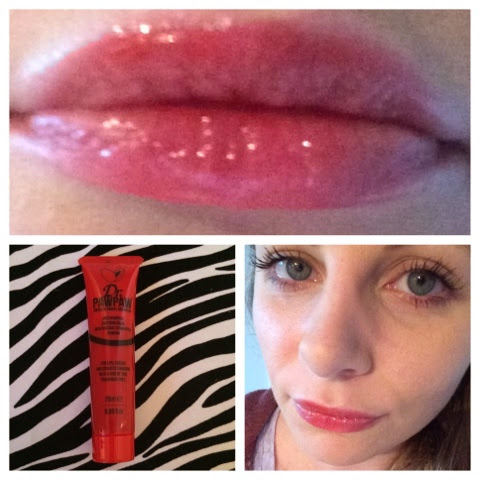 It’s lovely to apply, it’s shiny but at the same time it isn’t sticky and it leaves a lovely red tint to your lips. It can also be used as a cheek tint, which I am yet to try! Excuse the bad quality picture, I really need to sort out my camera as I have been using my phone for all the pics!